Advocacy for medical imaging, imaging-guided procedures, and radiation therapy. Shaping the development of the medical imaging and radiation therapy sciences. Professional development and networking of our members. 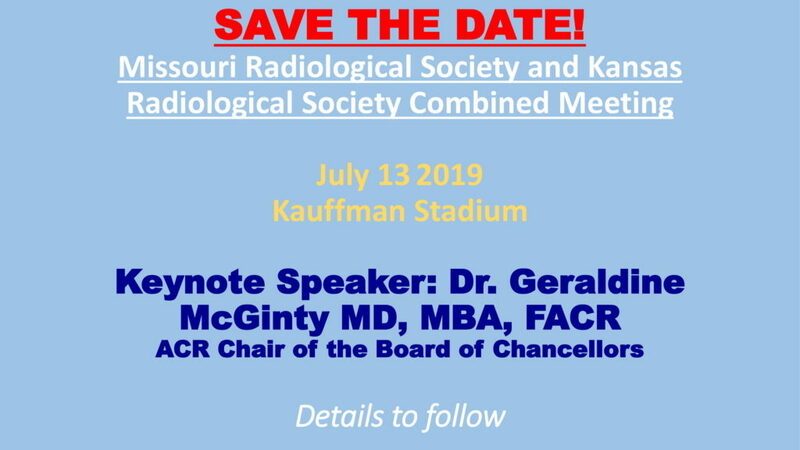 The Missouri Radiological Society is a state chapter of the American College of Radiology. Incorporated in 1961, it is comprised of the radiologists, radiation oncologists, nuclear medicine physicians, and medical physicists of Missouri. Activities include educational programming and advocacy. Members in training, private practice, academics, and others are encouraged to actively participate. Contact us to find out how you as a member can shape our specialties, professionally advance, and get to know others who share your interests throughout our state and the nation.